Meet astronaut Mark Watney: Engineer, Botanist and stuck on Mars. Mistakenly abandoned by his crew, he has no chance of escape. Unless… Well Mark is a Botanist, he has plant samples, so all he has to do is grow food on a barren, wasteland where absolutely nothing can grow. Should be fun. On earth, unbeknownst to Watney, NASA is aware that Watney is alive. A plan is hastily formed, which is to make sure that the record that Mark is reaching for over the course of this book, is thwarted. “Mark Watney will not be the first man to die on mars”! I have to be honest here. 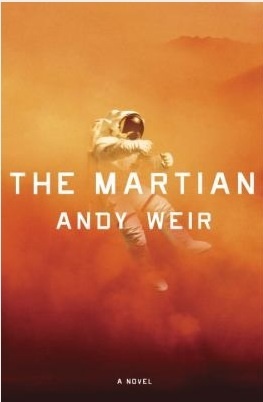 I saw the movie of the The Martian before I read the book. So naturally I was expecting great things when I found out that the movie was a masterpiece and I must say my expectations were more than exceeded. It literally is pure genius on behalf of Andy Weir. This book has everything. It was funny yet completely serious. Every second you are begging for this man to make it home safe, yet you want this book to never end just because of how humorous Watney is. It is very rare when one finds a book that he or she is willingly to read again and again without getting bored.